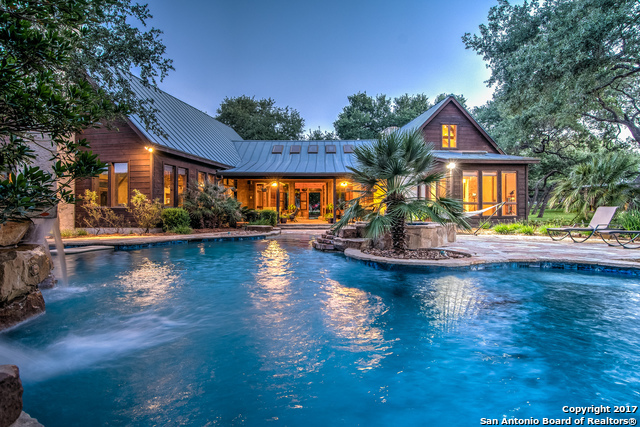 All AHERN CREEK RANCHES homes currently listed for sale in Spring Branch as of 04/18/2019 are shown below. You can change the search criteria at any time by pressing the 'Change Search' button below. "This is a TRUE MUST SEE STUNNER Ranch, minutes from the VIBRANT intersection of Hwy 281 @ TX 46 in Kestrel Airpark accessible, Ahern Ranches community. Magnificent home with the FINEST appointments. Separate roomy guest house and award wining Zars Pool. State of the art, Kentucky Derby style Barn for the most discriminating horse lovers: 3 stalls with rubber floor, horse-wash station, Saddle room, gigantic warehouse, 3 living quarters, indoor/outdoor observation, fenced horse arena w/plenty of r"